Hull have been improving for some time now so it’s no surprise to see them move out of relegation danger recently. Despite losing this weekend, Brentford continue to impress in attack and a play-off push isn’t yet beyond them. Sunderland‘s sorry collapse is unfortunately continuing while Reading‘s defence has also been deteriorating worryingly. Sheffield Wednesday also look in pretty bad shape at the moment. Despite losing this weekend, Wolves are heavy favourites to reach the Premier League. Cardiff are keeping the pressure on them but Fulham and Aston Villa aren’t out of the race yet. While Derby look likelier than not to make the final top six, the final play-off place remains up for grabs. 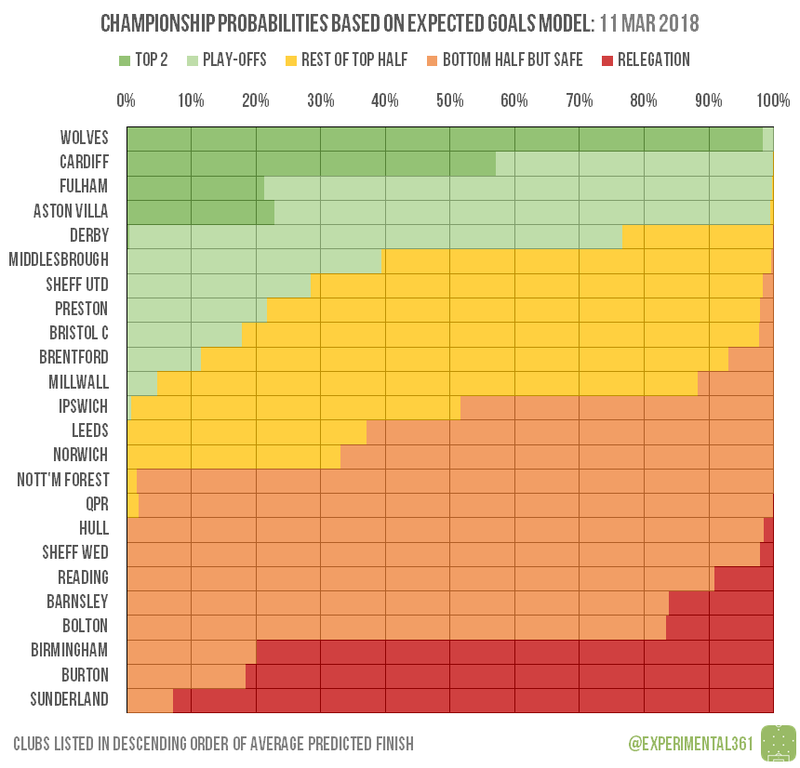 The reason that Villa have a slightly wider dark green rectangle than Fulham but are predicted to finish lower is because they have to play two of their promotion rivals at home. This means that there are more scenarios in which they can edge others out of contention, even though their overall run-in is slightly tougher. 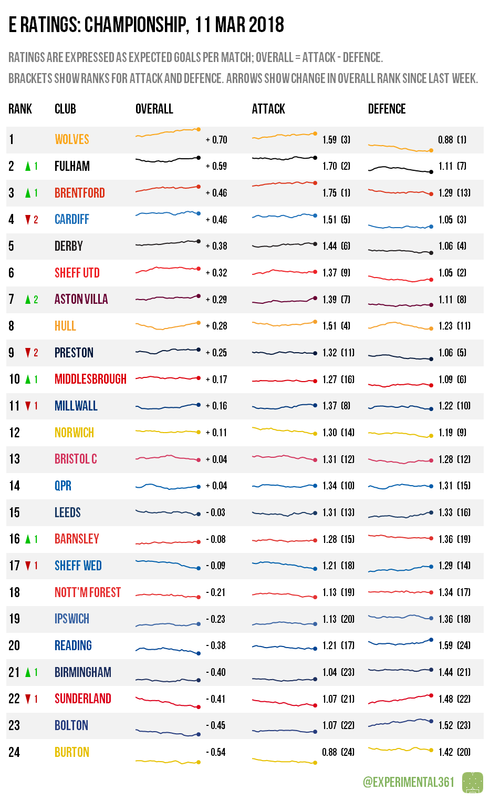 The current bottom three are looking pretty imperilled as it stands – all of them have at least an 80% chance of dropping into League 1. Despite Barnsley sitting relatively close to them in the table, the model seems to think they have enough about them to survive.